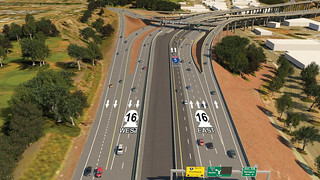 In early spring 2019, crews will move lanes of traffic to rebuild the SR 16 to southbound I-5 collector/distributor lanes. This will require temporarily shifting eastbound SR 16 drivers headed to southbound I-5 to the newly-built SR 16 HOV lanes. 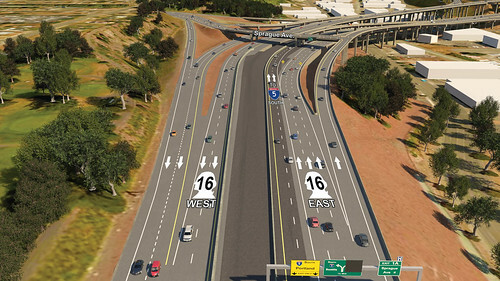 This work will also require closing the South Sprague Avenue on-ramp to southbound I-5. During the approximate two-month closure, South Sprague Avenue drivers will detour to westbound SR 16, South Union Avenue and back to eastbound SR 16 to continue on southbound I-5.